I spent the morning one hand fishing for carp. No that isn't a typo. I was not fishing with the Kyogi 18 or 21 with missing sections. 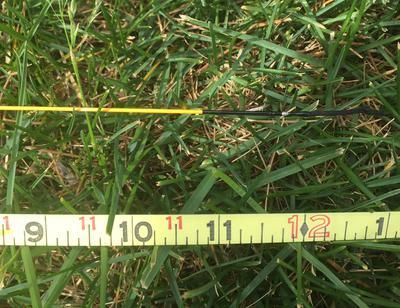 This is a rod review, more than a fishing report. I didn't catch a fish, but I did work my bait for over an hour and a half to 4 fish that I could see. I was fishing with corn, a great winter bait for carp. Tomorrow morning, I will go back to this spot with the Mother Of All Baits, Red Wigglers, as well as some small flies. The carp were feeding on small dark nymphs. If you don't want to spend extra money, don't read the shiny box your new rod comes in! 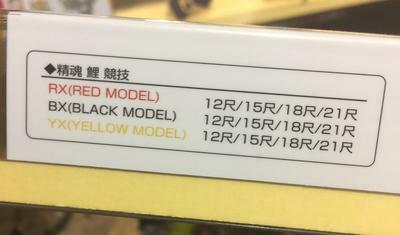 I was curiously examining the box that the Kyogi 18 came in and noticed that the Kyogi comes in a 12 and 15 too. (See picture 2) I emailed Chris about the rod, and being our addiction supplier, he ordered me a Kyogi 12! 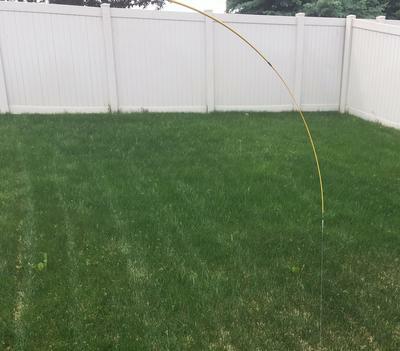 The Kyogi 12 is just shy of 12 feet long (picture 3). It has only 4 sections. It weighs in at a mere 3.5 ounces. It is rated for 4X - 0X tippet. Today, I cast smoothly bait that weighed close to 50 grams down to a weighted woolly bugger smoothly one handed. Because it is only 4 sections, it is a very smooth rod. It is a very fast action rod. (see picture 4) The tip is more sensitive than I expected. Where I fished first, I was not sight fishing, and I could feel fish messing around with my bait. I would rate it as at least a 7-3 action. That said, it has the beef to handle 0X tippet! I am very impressed with this rod. It can easily be fished one handed. It casts a fly better than I expected. This will be a great rod for type of nymph fishing that is discussed in Chis' article "Cortland Indicator Mono." This isn't just a shortened Kyogi 18 or 21. The sections are slightly shorter. It has its own unique taper. You can tell that a lot of thought and design has gone into this rod. 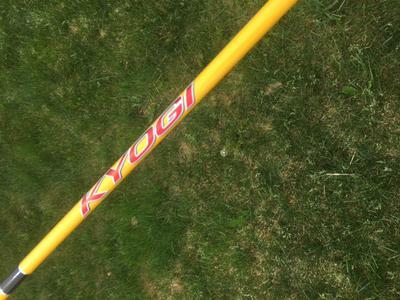 Like the other Kyogi rods, they are more like a 4x4 pickup than a sports car. I have no doubt that this rod can handle a large fish. I have tangled with 4 steelhead on my Kyogi 21, but have not landed one yet. That wasn't the rod's fault. I have caught several nice carp on my Kyogi 18. That said, this is a rod that I fished for almost 5 hours today, and enjoyed the same connection as I have experienced with all of my other one handed rods. So, if you are looking for a stout one handed rod, email Chris, and I am sure he will special order one for you too! Hopefully tomorrow, I can write a fishing report! Thanks for the report. Got to love all the different versions of Tenkara ....er ..... fixed line fishing we hear about here. Good luck on that carp!